Refugee crisis: Larry Sandigo's tweet about his 2-year-old client facing deportation went viral. Sandigo, who works for the Arizona-based Florence Project, tells me the back story of that tweet, whether refugee families are still being separated at the border and what the outlook is for asylum seekers in 2019. Phoenix council chaos: The Phoenix City Council ended the year in disarray - a Phoenix Suns arena renovation stalled and a water rate increase to deal with a looming water crisis was voted down, with little explanation. The Arizona Republic City Hall reporter Jessica Boehm joins me to explain what's going on at the council and who's the favorite to win the special election for mayor in March. Charter school reform: The Arizona Republic's Craig Harris brings us up to date on the response to his stories on charter school profiteering, and gives us the outlook for meaningful changes next year in Arizona's charter school laws. The Year in Sound Bites: 2018 was a year filled with historic highs and lows in Arizona, with the state once again on the national stage. We take a look at the year through the voices of newsmakers and citizens. 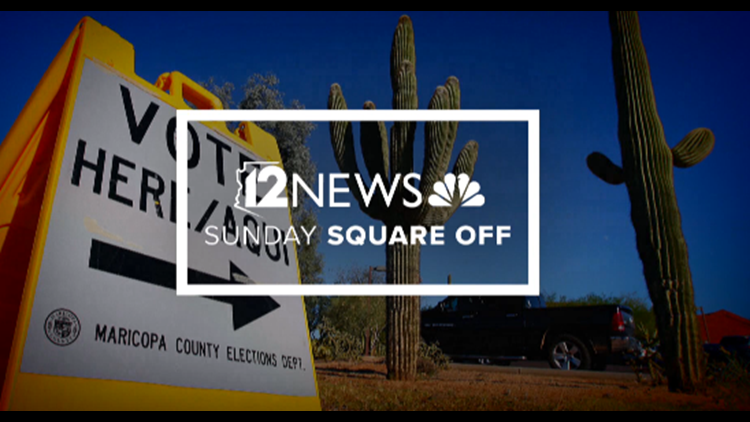 "Sunday Square Off" airs at 8 a.m. Sundays on 12 News, after NBC's "Meet the Press" with Chuck Todd.